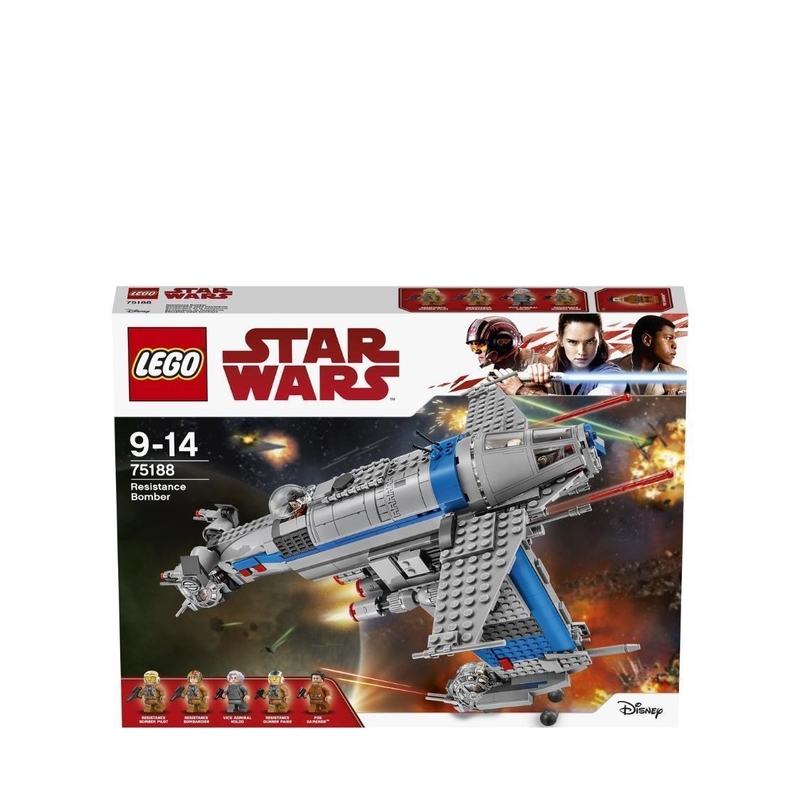 -Includes 5 minifigures: Poe Dameron, Vice Admiral Holdo, Resistance Gunner Paige, a Resistance Bomber Pilot and a Resistance Bombardier. 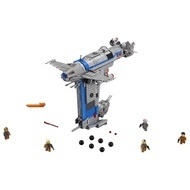 -Features a bomb release function with 6 bombs, 2 spring-loaded shooters, 2 opening rear minifigure gun turrets, elevating rear guns, 2-minifigure front cockpit with detachable canopy, removable top section for easy access and a flat base. 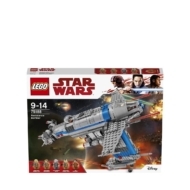 -Poe's blaster pistol also included. -Load the bombs through the top hatch and press the button to release them. -Measures over 13” (34cm) high, 15” (39cm) long and 11” (28cm) wide.